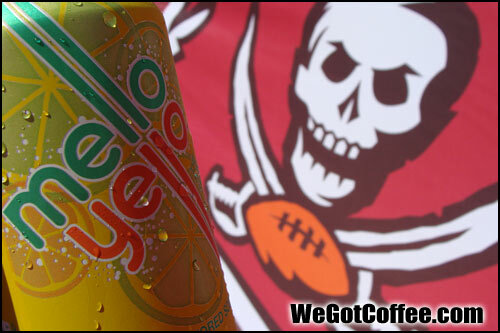 Mello Yello | Caffeine Content of the Mello Yello Soda - View Photos! OK, it isn’t COFFEE, but it DOES contain caffeine! This is similar to Mountain Dew, but more ‘mello’ tasting. 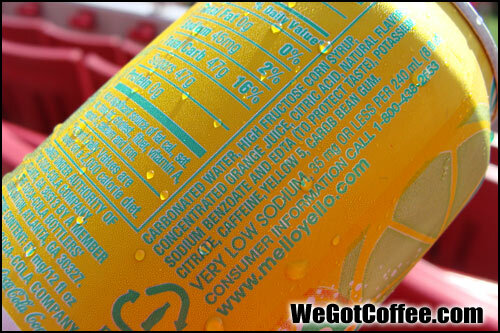 Good caffeine content, but unsure if it comes in diet. Contains orange juice, but not enough to make it taste like juice, and not enough to add a decent amount of vitamin C. It is the CAFFEINE you are after, not the vitamins, right? 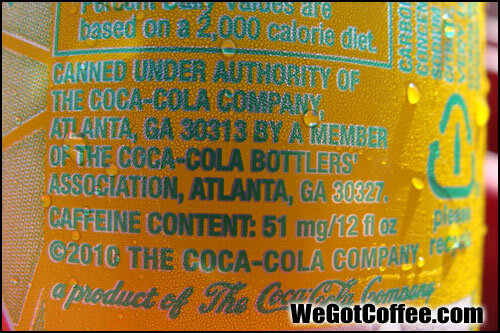 Caffeine is added to this soda from Coca Cola!